Data analytics has lit a fire under a sluggish retail sector – but it is the manufacturing industry that has galloped ahead here. The sector’s enthusiasts are focusing on one main element of this bold new digital process – predictive maintenance. As more and more machines are hooked up to sensors in the “Industrial Internet of Things”, data analytics can flag which parts may soon need repair or replacement. Manufacturers have also embraced being able to filter out information into more precise segments to better evaluate individual facilities or a division’s performance. Infor, which provides data solutions to industry, said factories make up between 30 per cent and 40 per cent of its clientele here. Mr Cas Brentjens, Infor’s solution consulting director for Asia-Pacific and Japan, told The Straits Times that smart manufacturers now look jointly at multiple systems in their quest to boost productivity. One of the clients at Mr Brentjens’ firm is Armstrong Industrial Corporation, which supplies rubber and foam components for industries from cars to hard drives. Armstrong group deputy chief executive Phyllis Ong pegged the biggest gain from data analytics as wastage reduction, helped by a detailed breakdown of how each factory is doing. “The ease is not about getting data,” said Ms Ong. Her aim is instead to have workers feel that they can use the information to make sound choices about factory processes. Another firm that has tapped predictive maintenance is Finnish crane maker and operator Konecranes, which is active in some 50 countries, including Singapore. Dr Mikael Bjorkbom, Konecranes’ manager of crane intelligence and analytics, raised his company’s case study in a presentation at the SAS conference in Amsterdam in the Netherlands. But while computers can crunch numbers, Armstrong’s Ms Ong emphasises that the human touch is still essential in decision-making. He told the Manufacturing Productivity Technology Centre conference herelast month: “The key thing is, we have to be very patient. Look at the chart and see where you want to go from there. Where is the bottleneck? 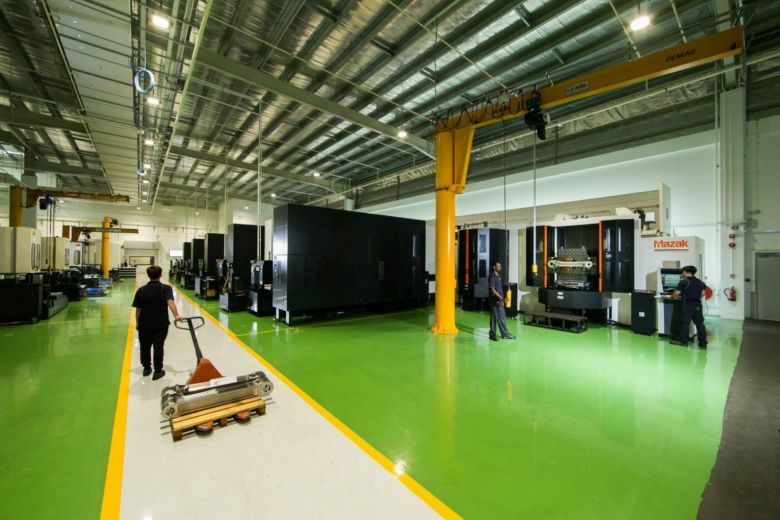 JEP recently invested $35 million in a new 200,000 sq ft smart factory, which opened last week in Seletar Aerospace Park.